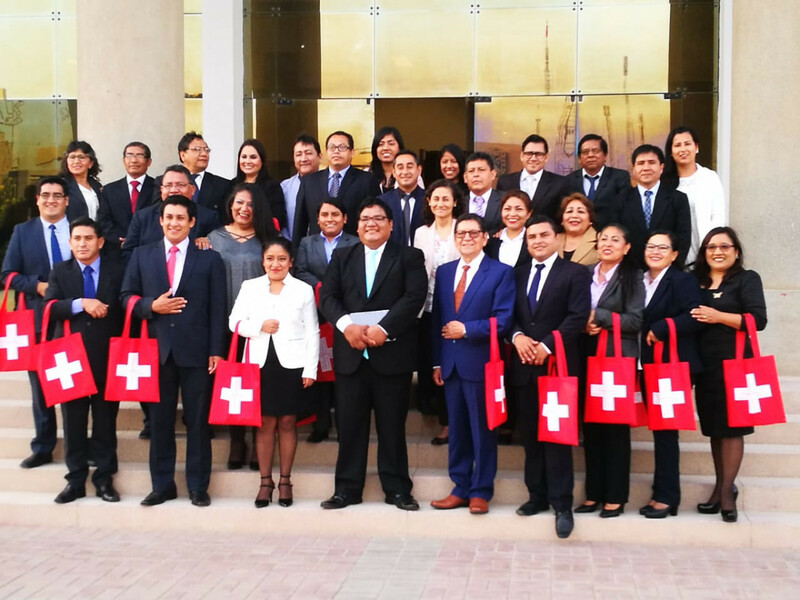 In November 2018, students from the Peruvian regions of San Martín, La Libertad, Lambayeque, Apurimac and Cusco graduated with a Diploma in Management and Public Finances. This successful capacity-building initiative is thanks to a partnership between ESAN University in the Peruvian capital Lima and the Subnational Public Finance Management program funded by SECO and implemented by the Basel Institute on Governance. The diploma course included classes on public procurement, public budget processes, asset management, strategic planning, accountability and internal financial control, among other topics. Out of the 186 students that have graduated, 46 percent are women and 54 percent are men. Around 70 percent of them were working in the public sector as of July 2018. We are confident that the graduated students will henceforward use the acquired skills and knowledge to further the goals of the Subnational PFM program under which this course was delivered, namely to increase transparency, integrity, efficiency and effectiveness in public sector service delivery at subnational level.